Ah, the hamburger. Culinarily speaking, perhaps the most American of foods, especially if you ask someone not from here! Ground beef, shaped into a round patty (or square if you are Dave Thomas or his redheaded icon Wendy), grillled up, traditionally speaking placed upon a sesame seed bun alongside ketchup, yellow mustard, crisp lettuce, tomato, onion, plus maybe a dollop of mayonase and slice of cheese, most certainly isn’t the healthiest of snacks, but it is one of the most consumed sandwiches on the planet, and is the backbone behind some of America’s most successful eateries. Where would that clown Ronald McDonald be without the hamburger? What would the Burger King reign over without the hamburger? Would Jim Cornette starved travelling this country in the 1980’s if it weren’t for the hamburger? That’s a rhetorical question, but one designed to make one think about how apart of our culture the hamburger has become. It isn’t just the hamburger even, as it’s slightly more caloric cousin, the cheeseburger, is possibly even more popular. In fact, many Americans, and even people worldwide, have dropped the “ham” and “cheese” parts of the name of the burger and have evolved into calling it just that, a “burger”. Often specialities burgers, even if they include cheese, find that article of food void in their title, like with the “western burger” for example. Onion rings, cheese and bar-b-q sauce top this regional favorite, but you’ll notice it isn’t called a “western cheeseburger”. No, cheese is implied, as for the most part, the “cheese” portion of a “burger” is almost assumed an integral part in its creation. Over time, burgers have evolved into a wide variety of styles. Even the ground beef isn’t mandatory, as buffalo burgers, venison burgers, kangaroo, elk, turkey, lamb and even salmon are transformed into patties and given the burger treatment. For the vegetarians amongst us, burgers made of tofu and ground vegetables are an option. While seasme seed is the most traditional, some burgers are served on nearly every type of bread imaginable. The patty melt is served on slices of sourdough bread, to point out a widely eaten variant of the world’s most popular sandwich. Some burgers feature an extra slice of bread in the middle, while others are served with one only piece of bread, which is called open faced. Really, every combination of toppings you can imagine have been placed on a burger, and probably by more than one person. Where the burger was created is often a debated topic. Most sources believe it was created in Germany in the late 1800’s, and this theory would explain the name of the sandwich. The “hamburgh sandwich” was found in a cookbook by Hannah Glasse written all the way back in 1758. The first American publication to mention the sandwich was in 1884 in the Bostom Journal, and then again in 1896 in the Chicago Daily Tribune. Regardless if the hamburger was invented in Germany or in the United States, it was during 1904’s World’s State Fair in Saint Louis, Missouri where the hamburger’s popularity began to really take off. The New York Tribune called it “the innovation of a food vendor on the pike”. White Castle was the first major hamburger establishment, and in many parts of America, is just as popular today as it was when they first opened their doors all the way back in the year 1921. White Castle is famous for what is known as a slider, which is basically a minature hamburger. Theirs happen to be square as well. The second major hamburger chain in America hasn’t stayed as prominent as the first, as Kewpee Hamburgers, a former East Coast chain, has been reduced to only five locations, and as I’m writing this, I’m tempted to go find the nearest one and hop on a plane. One of the oldest burger chains still operating a major business are Krystal, which ironically, also feature square sliders, just like White Castle. They first opened their doors in 1931. 1936 was the year that Bob’s Big Boy restaurants opened for business, and became a popular spot for travelers, truckers and locals to eat massive burgers for a steal of a deal. In 1940, McDonald’s came into existence, and forever changed the way the world would look at the hamburger, and perhaps changed our perception on clown’s as well. Only eight years after being in service did they create their “Speedee Service System”, which laid the groundwork for the foundation of fast food as the world knows it today. Today, burgers are sold everywhere. While fast food restaurants such as McDonald’s, White Castle, Krystal, Carl’s Jr, Hardee’s, Checkers and others litter roadways and highway entrance/exit ramps nationwide, the fast food establishment isn’t the sole location where people buy burgers. A step up in quality from fast food comes the burger stand, where national chains such as SmashBurger and Five Guys Burgers and Fries serve up giant sized, juicy burgers with the quickness, but provide a more restaurant or diner style experience with their lack of drive thru window and their larger dining areas. Diners, which are basically a lower caliber of restaurant from a fine dining establishment, are also known to bring the burgers. Denny’s, for example, serves the culinary delight even during business hours, and even The International House of Pancakes changed its name for a spell to highlight their burger selection. Even in five star restaurants one can find a burger however, and while it is normally at least thrice as expensive as what you’d recieve at your local McDonald’s restaurant, they are usually one of the cheaper menu items available at a high class eatery. But now let us get to the “meat” of this article, and yes I do think I’m funny. Navarre, Florida is known for a lot of things, from its extradonairly beaches to its fresh seafood to its beautiful homes and its wonderful, centralized location to many exciting metropolitian areas. Navarre isn’t widely known as a meat lover’s paradise, but the fact of the matter is, Navarre is home to two independently owned and operated burger stands that are just mouth wateringly delicious. Top’s Burgers and The Copper Bull will delight any burger fanatic who happens to stop by, and you know what, the fries are amazing as well. Let us begin with Top’s. A sort of local chain, one can find Top’s Burger stands in Pensacola, Navarre and in Fort Walton Beach. A burger stand which only opens their doors in coastal towns, now that is something I can get behind! While the decor certainly doesn’t match this description, it is difficult to not picture a 50’s style diner when ordering from their menu. The simplicity of it, with nothing except burgers, fries, tots and dogs being sold, reminds me personally of the days when selections at restaurants weren’t as plentiful, and they were all fatteningly delicious. Each location has its own speciality burgers, but my favorite (no offense Pensacola or Fort Walton Beach!) 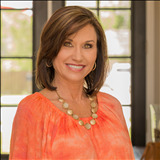 are the cajun flavors offered at the Navarre location. 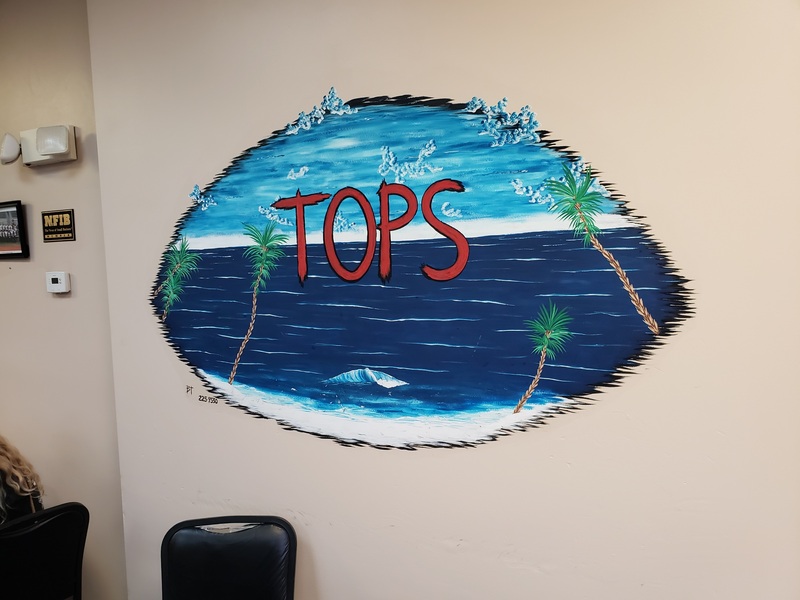 Whether you’re just looking to save a few bucks on a meal, want something to take to the beach and stare out at the water with, or are a busy commuter looking to scarf down a meal in their car, Top’s has you covered as competently as their fries and tots can be covered in chili cheese. The Copper Bull is a bit more creative with their menu, and although I do appreciate the subtlly of Top’s, boy am I glad about it! While they offer burgers, dogs and fries like most typical burger stands, The Copper Bull also serves treats such as chicken strips, fish and chips, and even a beer battered burger for people who think they’ve tried it all. In fact, they’ve got a large variety of burgers, many of which you’ll be hard pressed to find a similar sandwich elsewhere. All of this, and a drive thru to boot! The Copper Bull reminds me of a high end speciality burger restaurant, except without the pretentious dining room and overly priced meals. While Navarre has all of America’s favorite fast food restaurants, including a Culver’s (great burgers, and if you haven’t tried a frozen custard before, do yourself a favor and try it next cheat day), as well as some terrific restaurants serving up some fantastic burgers, if you’re looking for a quick burger, and want to try a unique one that you can’t find all across the country (or world), Top’s and The Copper Bull have you covered, and are yet another example as to why Navarre and Navarre Beach are one of Northwest Florida’s most wonderful communities. If you haven’t eaten a Top’s or Copper Bull burger with your toes in the sand, you’ve never burgered quite as well as I have, and you can take that to the bank!